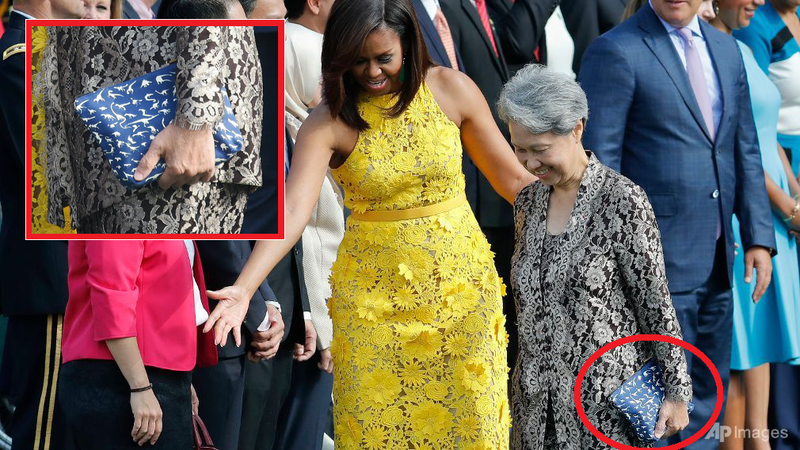 Ditching the glamorous life in favour of a charitable one, the wife of Singaporean Prime Minister Lee Hsien Loong, Ho Ching, has won hearts all over as she was seen carrying a S$14.80 (RM44.60) purse on her recent official visit to the White House with her husband. 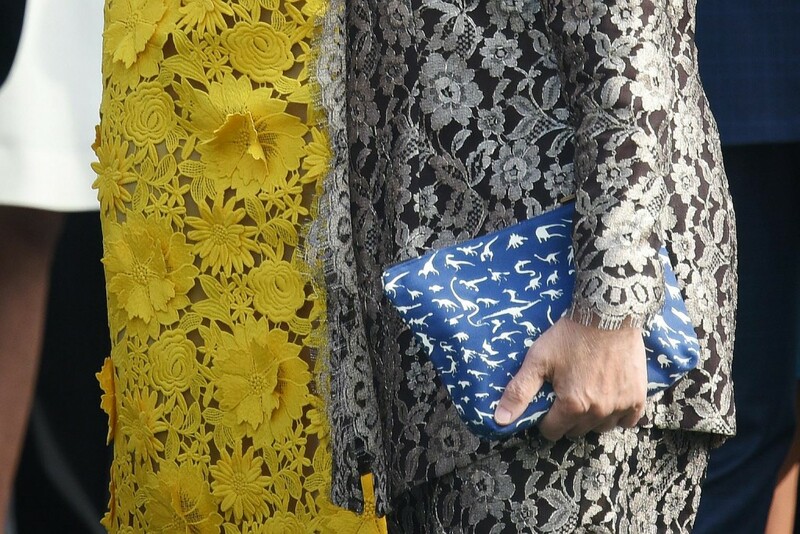 The blue coloured pouch, called the Denim Pouch-Dino Blue Black, features dinosaur motifs, and was designed by 19 year-old Sheetoh Sheng Jie – a student of Pathlight School for autistic children, The Straits Times reported. According to his artist biography, he’s described as “extremely pedantic about dinosaurs” and his artwork. “We were pleasantly surprised and honoured that she chose to bring this bag on her official visit. It gave such a great mileage to the artists on our Artist Development Programme (ADP) and merchandise at The Art Faculty.” said Ms Loy Sheau-Mei, senior vice-principal & head of Artist Development Programme at Pathlight School to the daily. Artwork and merchandise created by students of the school are sold on The Art Faculty, the school’s online store. Students themselves receive royalties when their products are sold. Their Facebook page is literally beaming with pride. 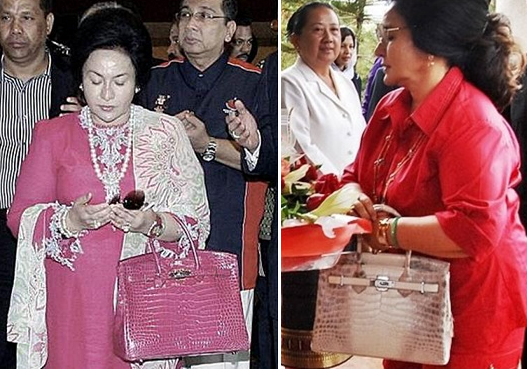 Netizens everywhere, especially Singapore and Malaysia were astounded with her purse choice and praised Ms Ho Ching for being a great example – that you don’t necessarily have to carry branded nor luxurious items to look good. As cheesy as it sounds, beauty does come from within, and everyone else thinks so too! 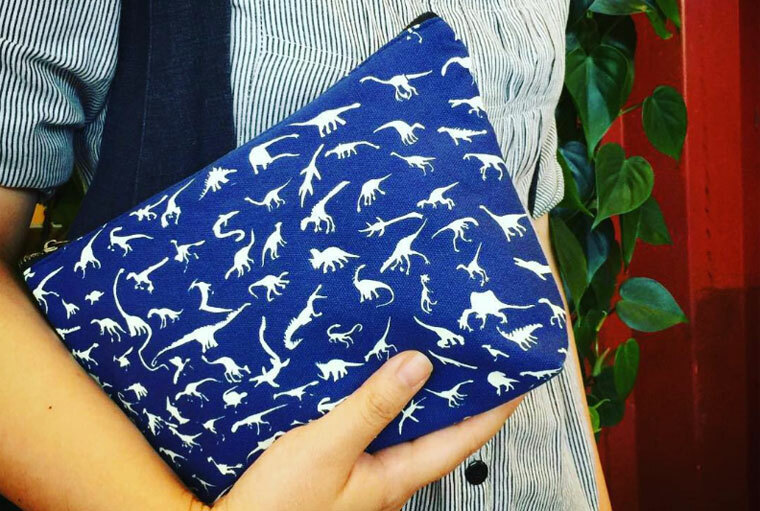 Also thanks to her Dino appearance, guess what – the famed pouch is already sold out! Ho is a patron of the Autism Association Singapore, and reportedly bought the purse at a concert last Saturday that raised funds for autism support services. The Art Faculty is part of Pathlight’s Artist Development programme that encourages autistic children with artistic abilities.